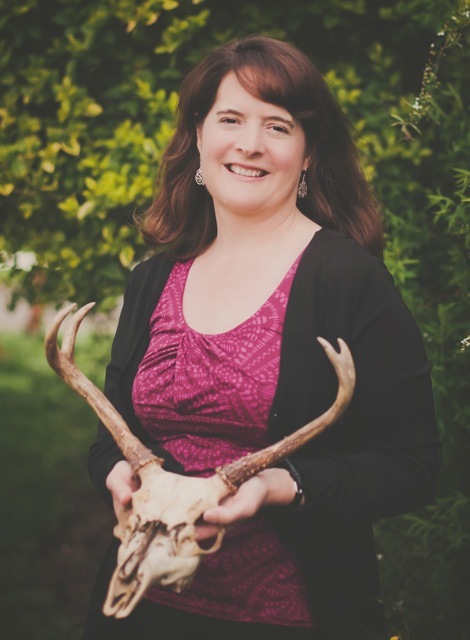 Christine Finlayson borrowed from her “past lives” as a waitress, barista, environmental educator, and water scientist when creating her debut mystery novel, Tip of a Bone—a tale that takes place on the stormy Oregon coast. In her spare time, Christine loves to run on forest trails, watch waves break, compete in triathlons, and photograph anything Northwest-weird or wild. She’s now working on her second book, a novel of suspense and she’s an active member of Sisters in Crime, Friends of Mystery, Oregon Writers Colony, and Willamette Writers. And today Christine is making a stop on her tour with Great Escapes Virtual Book Tours to talk to us about writing what you know. Be sure to leave a comment for a chance to win a copy of the book. Welcome Christine. It’s sage advice. Have you ever picked up a book set in your hometown, where it seems the author has never visited the place? As a parent, I’ve laughed over a novel where the main character’s kids miraculously went down for naps every time the mom needed to go out. If only! 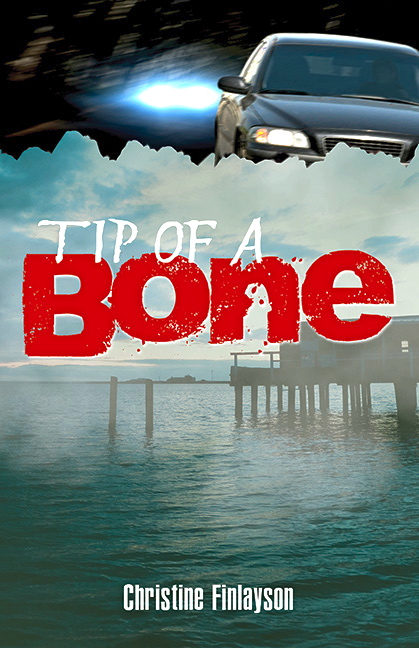 So when I started writing my first mystery, Tip of a Bone, I intended to write what I knew. After all, I’d visited Newport, Oregon (the book’s coastal setting) many times. I’d made the main character, Maya Rivers, new to town so she didn’t need know everything. I could use my background in environmental science to craft the quirky eco-activist characters, and flash back to my early days waitressing for Maya’s scenes in the Clam Strip Café. Write what you know. No problem. But once the plot took shape, I started to panic. I’d created a taxidermist character, but knew nothing about taxidermy. My eco-activists needed to be authentic, but I’d never lived in a tree or blockaded streets with a protest. And I hadn’t worked in a seafood restaurant like the Clam Strip. Somehow “write what you know” had become “don’t worry—you can always find out!” It was time for research. Surprisingly, I discovered I loved the investigation and learning part of writing as much as the creative, fingers-to-keyboard, developing plot and characters part. It was great fun to interview people, tour new places, and research things online. Really, it was like going back to school—but this time, I could study whatever I wanted. For Tip of a Bone, I watched YouTube videos to learn how to prepare deer and ducks for mounting (that pesky taxidermy character). I poked around a restaurant kitchen to develop Maya’s workplace and photographed Dungeness crabs at the fish market. And I visited Newport again and again, asking questions, documenting settings, and observing local events. I learned that people love to talk about their jobs and hobbies. They, too, want me to “get it right.” So in addition to formal interviews, I’ve searched out writing partners who know interesting things. Among them, there’s a zookeeper, a perfume expert, an aficionado of Westerns, two world travelers, an organic gardener, two French speakers, a scuba diver, a sailor, and a former police officer. A world of knowledge to explore in future books! Now that I’m writing my second novel, research is still playing a large role. I gave myself a challenge: a murder scene that requires a very specialized, technical investigation. So far, it’s led to a fascinating interview with three police officers, who helped me brainstorm ideas for solving this fictional crime. My mind is already buzzing with new questions. But that’s okay. To me, doing the research is half the fun of writing a book. Congrats on the novel! Learned a lot from your post. Best of luck! This sounds like a good read—thanks for the opportunity to win a copy! Hi Kate, thanks so much for hosting me (and Tip of a Bone) today. It’s great to connect with another Sisters in Crime member–after reading your bio, I’m guessing you enjoy researching new things, too. Thanks also to Anna C and Sheila K for stopping by this morning, on the last day of my tour! Sounds like a great new series!! I really enjoyed Tip of a Bone. They say that everything a person has done makes them who they are. I guess it’s true that everyone a person knows makes them who they are–and what they write–too. It’s great, because people who read the novel are bound to see themselves in an least one character, and that makes a story even that much better. Can’t wait to see what you write next! It sounds like you had an interesting time researching and met some people with more stories for you to tell. This book sounds like the change I have been looking for . Am a cozy reader, but I do step out of the box for something new. Would love to win this book. Thanks for a chance to win a book ! Thank you, Margaret, Angela, DogsMom, and Vickie, for taking the time to stop by and leave a comment. DogsMom, the challenge for me sometimes is to stop researching and start writing! But yes, I have been collecting stories to tell in future books. Vickie, Margaret, and Angela, thank you for your kind words and support. Good luck on the giveaway, all!